We are staying just outside Bath for a few days, but the caravan has an extra resident. Number 1 daughter has muscled in on the act this time and sudden,y everything is so much more expensive than usual! We’ve never been to Glastonbury, well except for Number 1 whose been to the festival so I’m not sure if that counts. It has an unusual atmosphere, almost every shop has a mythical edge selling gems, new age clothes (is it still new age after all this time? ), witches brews and spell books, mystical books an know how, meditation and mindfulness courses. Lots of people seeking something, but never quite finding it. But the sun was shining and we had a look around Glastonbury Abbey, which became the second richest religious setting before being ‘done over’ by Henry VIII as he seized the churches assets. And he did a pretty good job of it as well. In 1536, during the 27th year of the reign of Henry VIII, there were over 800 monasteries, nunneries and friaries in Britain. By 1541, there were none. More than 10,000 monks and nuns had been dispersed and the buildings had been seized by the Crown to be sold off or leased to new lay occupiers. 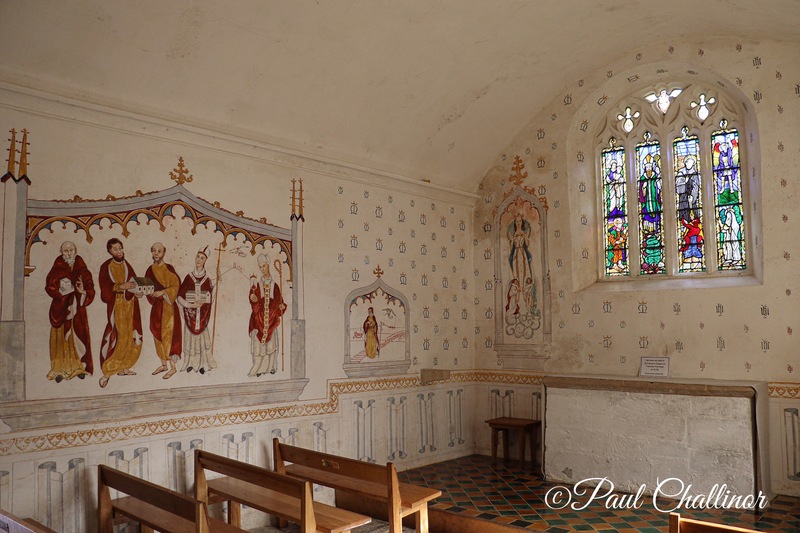 St Patrick’s Chapel. a very old legend that St. Patrick, Apostle of Ireland, came back to Britain in his old age, collected together some hermits he found near Glastonbury and became their first Abbot there. While there is no sound evidence, documentary or archaeological, that the Apostle of Ireland either lived or died at Glastonbury. There’s been a church here for a long time, but it was never a very rich site. 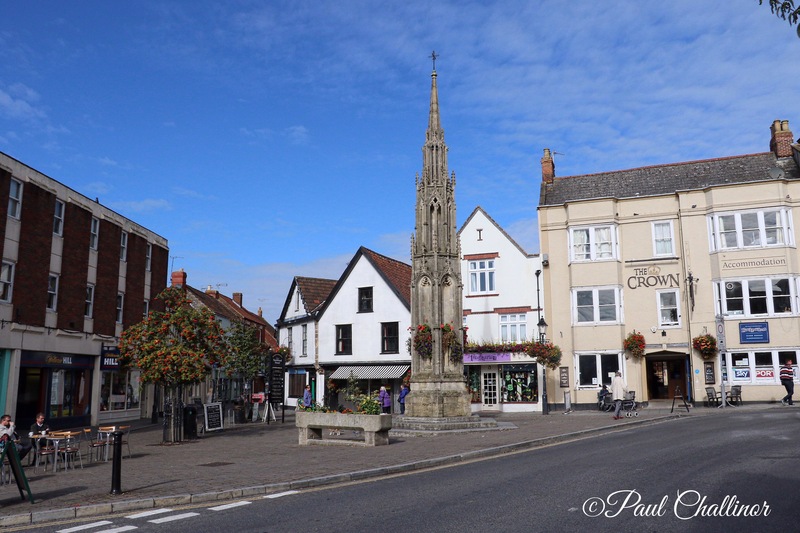 Originally set up by the local Saxin King in the 7th century it began to accumulate wealth and property, and following the Norman invasion in 1066 is was further developed. 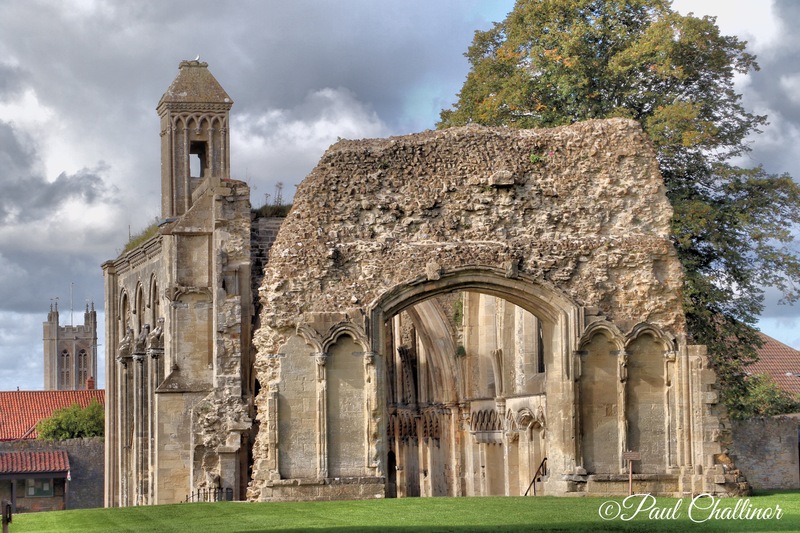 Then in 1184 the abbey church was destroyed by fire. Seeking the huge funds required to rebuild it was a surprise to everyone when the monks found a deep grave in the cemetery to the south side of the Lady Chapel. They then claimed that this was the grave of King Arthur and Queen Guinevere, and attracted a large number of pilgrims, who also left a lot of money to the Abbey. That was very convenient! These bones were reburied, much later, in 1278 within the Abbey Church, in a black marble tomb, in the presence of King Edward I. He then used this as propaganda to support his attacks on Wales. Just like the English Rugby team he failed against the Welsh more often than he succeeded. The legend of the Holy Thorn tells that it came here as the staff carried by Joseph of Arimathea. It is said that Joseph was a trader in metal, so came to this area for lead from the Mendips, and when his boat arrived at Wearyall Hill he disembarked, planting his staff into the ground whilst he rested. In the morning he noticed his staff had taken root, thus becoming the Holy Thorn. The Thorn in the abbey grounds is said to be a descendant of the original tree. It flowers twice each year, around Easter and at Christmas. From there we went onto to Glastonbury Tor. 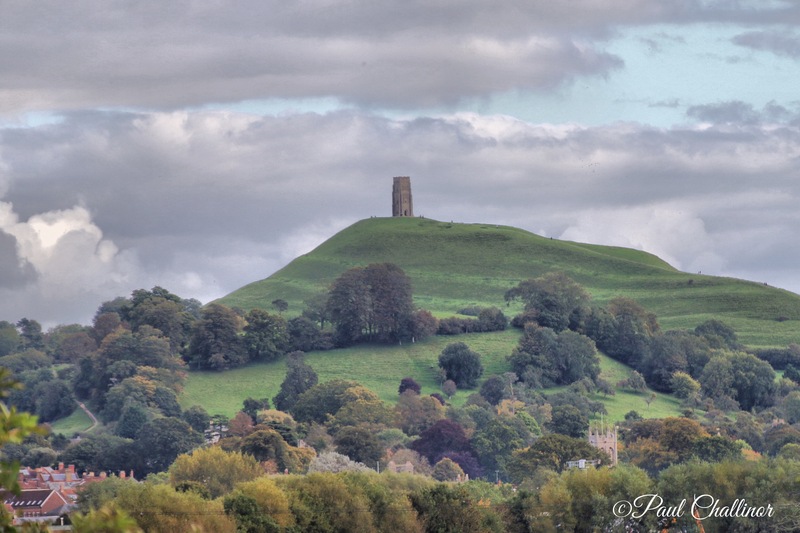 This lone limestone knoll stands out above the Someerset Levels and is visible from all directions as you approach Glastonbury. Before the levels were drained it must have stood out like a beacon among the marshes and flooded levels. The archeology shows that man has used the hill from the Neolithic period, with evidence of buildings through the Saxon period but the main focus is now on the ruined tower of St Michael’s Church survived until the Dissolution of the Monasteries in 1539 when, except for the tower, it was demolished The Tor was the place of execution where Richard Whiting, the last Abbot of Glastonbury Abbey, was hanged, drawn and quartered along with two of his monks, John Thorne and Roger James. Not a nice way to end, and quite possibly they didn’t agree with Henry’s new order. But now the views from the top are fantastic. This is looking towards the Mendips, where Chedar Gorge can be found.